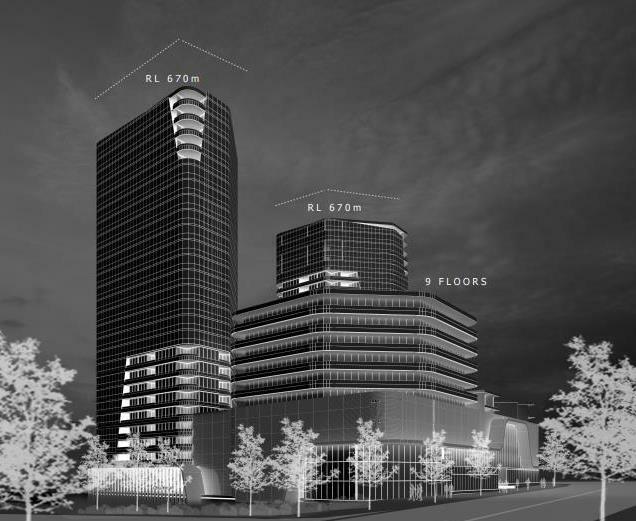 Hindmarsh’s scaled back plans for its four-tower marker building in Woden. Images: Hindmarsh. One is ‘completely out of scale’ to the current environment and the other is the result of ‘changing the rules of the game after the game has started’. That’s how Woden resident Dione Smith has described Hindmarsh’s proposed massive marker building on a site known as N12 and a smaller multi-storey block on a smaller site N10 on the corner of Easty and Wilbow Streets near the Woden Police Station and Healthpoint. Ms Smith, who moved into the three-storey Willara complex at the end of 2014 and sees herself on the front line, has launched a Legislative Assembly petition sponsored by Greens MLA Caroline Le Couteur against Hindmarsh’s plans, citing overshadowing, ‘retrospective’ rezoning and inadequate traffic management infrastructure. 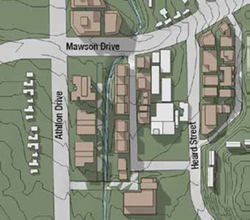 The petition calls on building heights to be reduced, rezoning of one site from residential to commercial be reversed, and Arabanoo Park be preserved as green space. Hindmarsh, in conjunction with Cox Architecture, originally proposed a mixed-use precinct including a four-building complex of 710 apartments with four towers, the tallest of which was 27 storeys, on N12, and a 10-storey block on N10. After community consultation, that was scaled back in September to two 25-storey, nine and five-storey towers, with the 10-storey building now six, but these are still considered too high, particularly the marker building. A development application has not been lodged yet but is imminent. For Ms Smith, a first-home owner whose great Australian dream has turned into a nightmare, not only has she had to contend with building defects but now the amenity and character of her home is threatened by the Hindmarsh development, which argues that the slender design of the towers will mean any shadow will pass quickly. A shadow diagram of the two sites. But Ms Smith says the west-facing side of her unit is bathed in full sun during winter but Hindmarsh’s own modelling suggests it will be in shadow from 1:30 pm to the end of the day. “That is not a quickly passing shadow,” said Ms Smith, who also expects her energy bills to increase as a result. “How is it fair that a new building could be allowed to overshadow, from more than 100 metres away, the predominantly sunny central courtyard, with communal facilities, of a three-storey apartment complex of some 200 dwellings?” she said. Ms Smith says the marker building is on a massively inappropriate scale, with the two 25-storey towers as high as the Lovett Tower in the centre of Woden, and totally at odds with the established environs, built and natural. The two 25-storey towers proposed would be more than eight times the number of storeys of existing apartment complexes nearby. “In the case of the Easty Street childcare centre, situated directly to the north of the N12 site, its single storey will be completely dwarfed by the tall towers,” Ms Smith said. 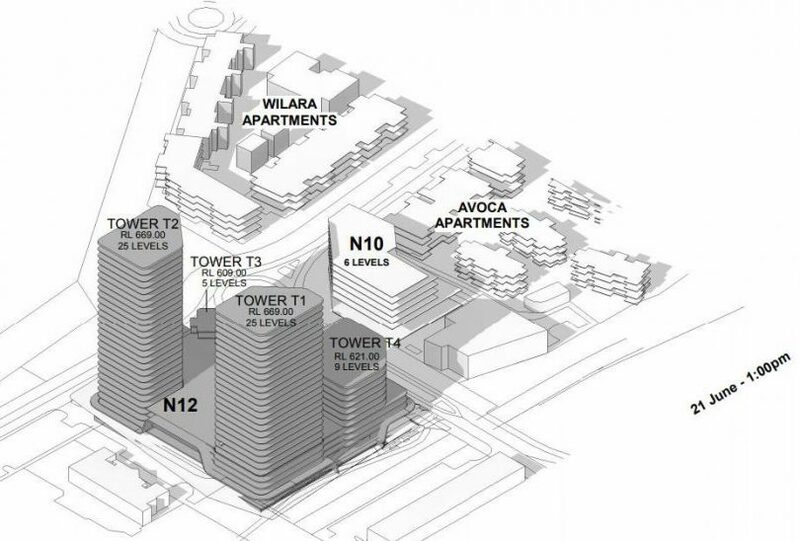 The petition calls for construction on N12 and N10 be limited to a maximum of five storeys, although Ms Smith acknowledges that the recent variation to the Territory plan allows for buildings up to 28 storeys. But she and others who bought into their apartments when N10 was zoned residential are incredulous about its rezoning to commercial, which not only allows taller buildings but more noise. “There was no indication of that when we bought. We feel the rules of the game have changed after the game has started,” Ms Smith said. The petition is open until 31 March but may be closed when a development application is lodged. Out of scale developments are taking place across Canberra. All the town centres, multiple locations. This is a result of poor planning policies and processes driven by commercial interests of the developers. Single story residential houses next to high rise buildings would not be allowed in many places around the world. What a horror ! !ACTPLA does not seem to consider examples from the well planned cities around the world which attract millions of visitors. There is nothing wrong with increased density – but not in the way it is implemented by ACTPLA. The scale of up to 3-4 stories in appropriate locations is exactly what has been proven in many locations to work well for cars and pedestrians. Canberra is progressively missing opportunity to become (in several decades) one of the great and admired cities of the world. Walter Burley Griffin would be horrified!!! The comments from Hindmarsh ( quoted below) in relation to merits of the high rise buildings are driven by commercial interests. They would not be supported by an independent reputable city planner. There a few of those around the world – ACTPLA should engage one. Canberra is missing opportunity!! “If we build long, flat buildings, you can’t see anything, particularly four-storey buildings, or even three-storey buildings. It blocks out the horizon,” he says. So what was in fact built? Two and three level buildings with not a scrap of public areas let alone grassed ones! So much for ideals. The proposed tower on Wilbow Street is also the complete opposite of those comments with 3 or 4 levels across the entire block before the towers are considered. And the block has been augmented by approximately 500 square metres of the public walkway – good luck trying that out yourself with ACT Planning. I wonder how all the buyers who thought that Lauren Jackson’s promo for Sky Plaza was real and bought apartments on the strength of a bad marketing campaign are coping now. Apartments there are for sale for the same price paid nearly five years ago. Tall towers that are well-designed would be a far better option than those earlier downmarket builds. And I think (hope) the market is likely to be more fussy and informed these days. ‘Buildings achieve a bulk and scale that achieves consistency with the desired character’. The character of the area is 3 and 4 storey buildings. Building heights were significantly increased in the November 2015 Woden Town Centre Master Plan which became law with the update of the Phillip Precinct Code in August 2018. Woden is the only precinct in Canberra to have a building hierarchy throughout its CZ1 and CZ2 zones whereby buildings start from 12 storeys and get taller towards the centre, to 24 storeys. An additional 4 storeys is available for developments in the building hierarchy and near public transport (there is no benefit to the community or the public realm), effectively allowing 16 to 28 storeys. This sort of blanket planning in the other town centres would see 28 storey buildings around Margaret Timpson Park in Belconnen (currently up to 6 storeys) and 28 storeys around Hibberson St in Gungahlin (current draft plans allow up to 6 storeys as long as the sun is retained on the south side of Hibberson St). While the WVCC wants to see development, we want it to be done well with sites identified for community facilities (our CIT and basketball stadium were closed) and human scale around public spaces and residential areas to retain access to the sun. Ms Smith has every right to be concerned about two 25 storey buildings being built so close to her home. Most people would be! “There was no indication of that when we bought. We feel the rules of the game have changed after the game has started,” Ms Smith said..... And yet this exists. An urban development presentation dated 2010...4 years before she bought..
People in towers complaining about people in towers ? Many are four levels. Hardly be called a "tower". I don’t know if the overshadowing will affect any solar panels, but if it does that is loss of expected income. In fact the Victorian Government has introduced regulations to prevent overshadowing solar panels. That should be introduced here too. Plus also this should include specially designed and built solar houses too, which has the sun as its heating source. It’s more expensive to build these houses, so in effect, heating has been paid for up front, and heating should not have to be paid for twice, which would happen if the sun is blocked. Here is some discussion on this topic. That’s good that no solar panels here will be affected, but my comment was also a general comment, because no doubt other areas will also have these overshadowing problems, and they should be considered and protected, as it appears that Victoria has, at least for solar panels. Houses that have been designed to use the sun as a heating source should also have protection. Jordi Silvera Sorry it was the wrong building haha. Mine will be better! Overshadowing is a very serious issue. If this occurs financial compensation should be paid to those concerned. Not a pittance either, but for the extra cost of heating the homes for the next thirty years (some people live in their homes that long; even longer), and allow for estimated inflation in that dollar value too. For any houses designed to use the sun as their main heat source (could be virtual 100%), then that would be a very large amount of money. That would help focus the developers mind re the design. It’s a town centre for a reason. There should be no limit on heights in those areas. Jp Romano so 50,70 or 100 storey skyscrapers are ok for a town centre that is not the city centre. Civic has a height limit why not Woden. Martin Miller no, none of the town centres or the City should have a height limit. Yes 50, 70 or 100 stories would be great. Jp Romano it would be amazing to see town centers revitalized with real high rises. This 3D visualisation of the Woden Green development from 2011 clearly shows a high-rise marker building on this site: https://vimeo.com/17487675 Sounds like these residents didn’t actually do their due diligence after all. This took all of two minutes to find on Google. Honestly, how can local residents act even remotely surprised? Just how little research did they actually do before forking out hundreds of thousands of dollars for nearby units? Looks like Strathgordon Court is deserted and been fenced off. 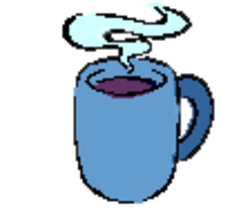 Another development coming? Matt Frawley Finally, been stuck there for 12 and a half years. That hole needs to be smited. There’s a reason Woden has been left behind, and it’s Woden Valley Community Council. Sure, sky plaza left a bad taste in your mouth, but it’s time to move on. The size and scale of these buildings (and others throughout Woden) are overwhelming. The WVCC has continually provided feedback to the ACT Government that while many residents are happy to have some development, they want it to be done well. We have asked the ACT Government for planning that provides mixed building heights (like the other town centres) with human scale around existing residents and public spaces to ensure solar access. We also need community facilities and places for people to meet to minimise social isolation.